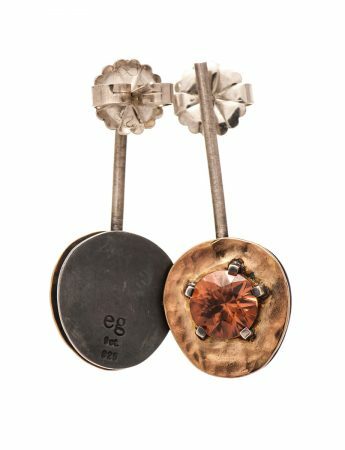 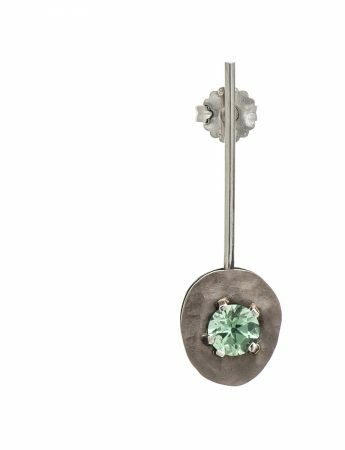 Emma Goodsir is a a perpetual maker and innovator. 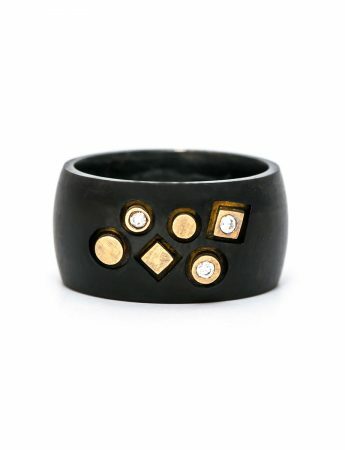 Her latest collection, titled ‘Other Lives’, celebrates a lifetime of different eclectic creative pursuits. 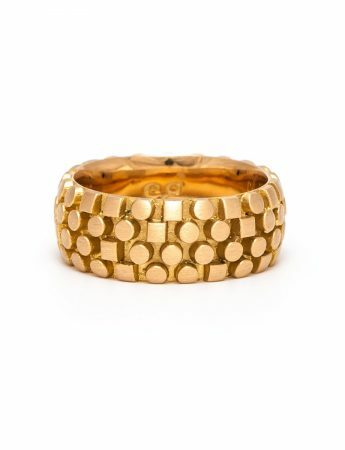 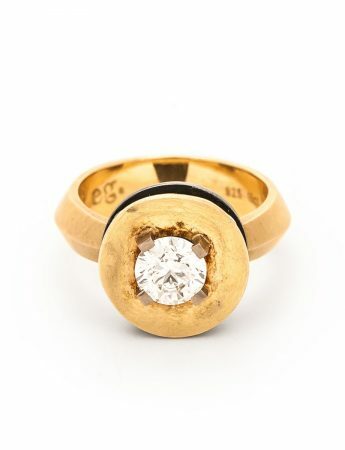 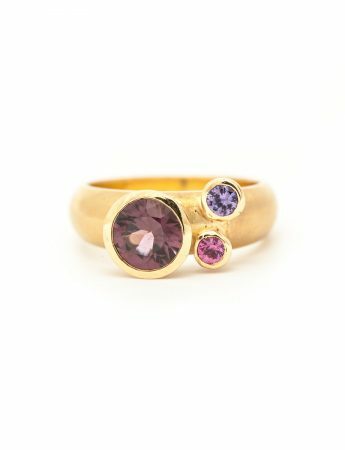 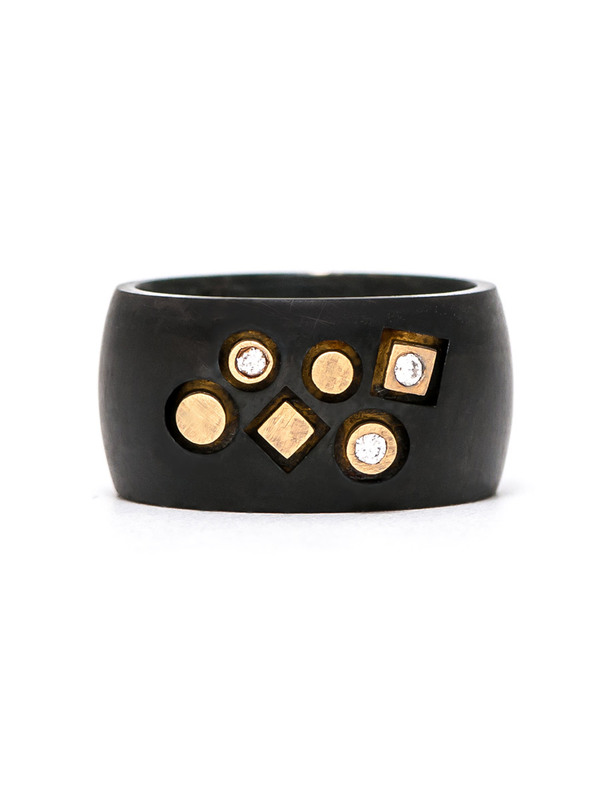 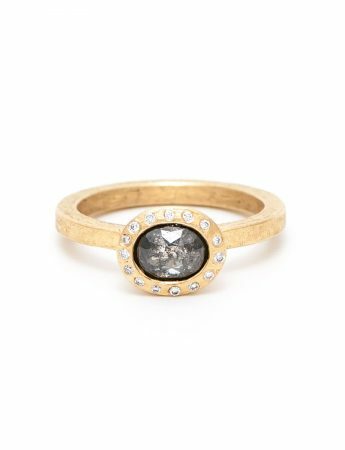 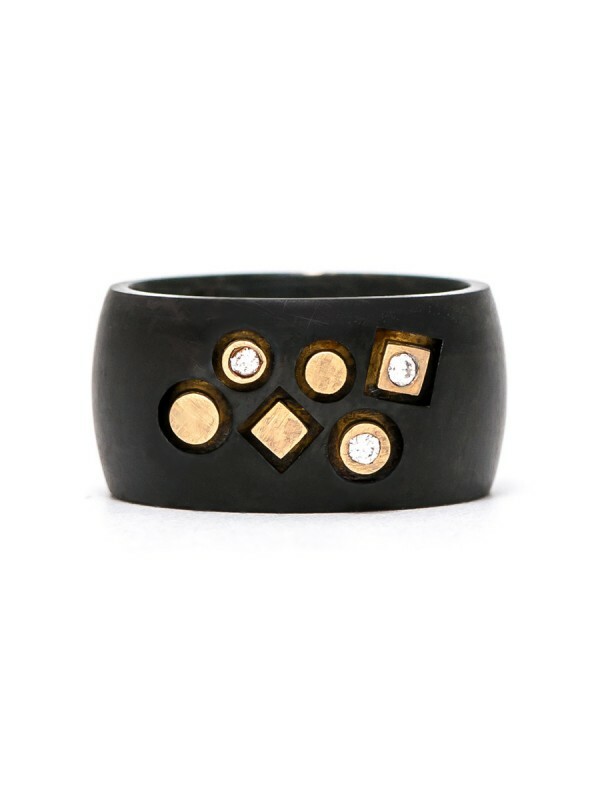 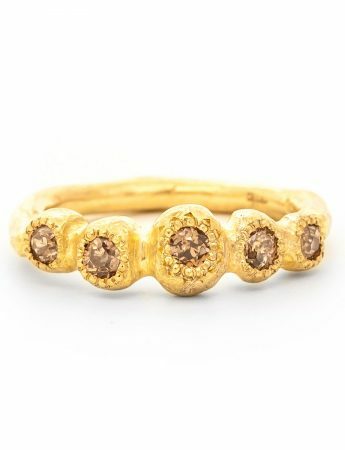 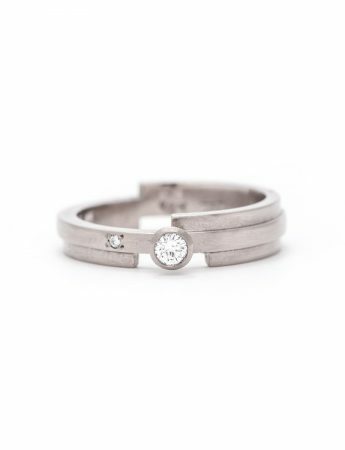 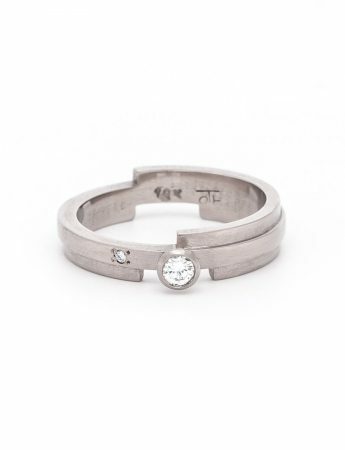 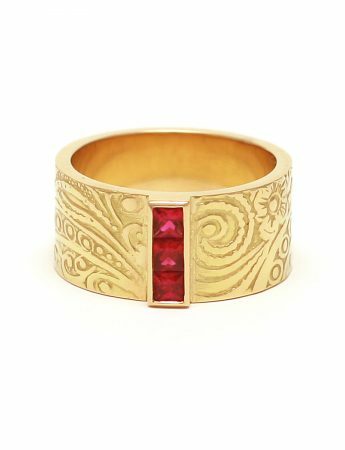 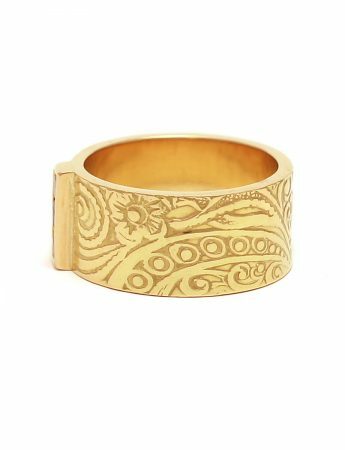 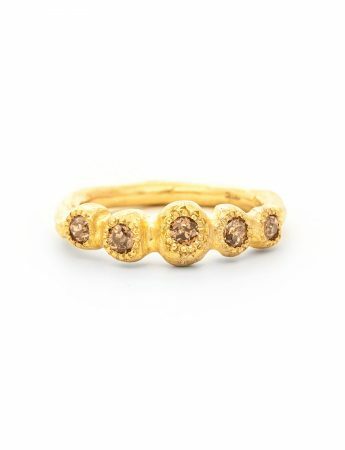 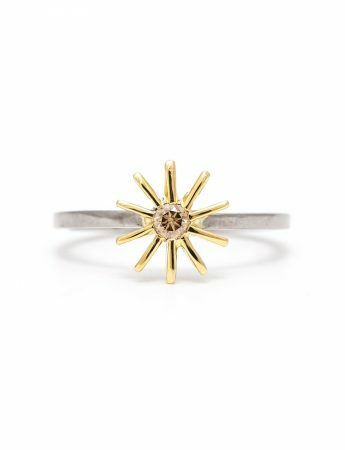 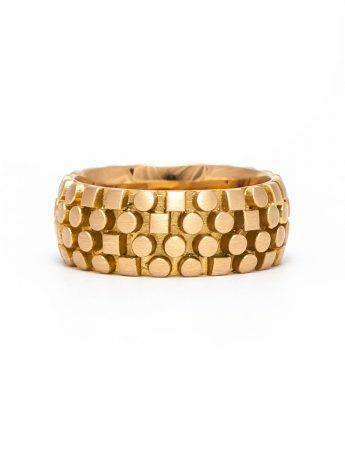 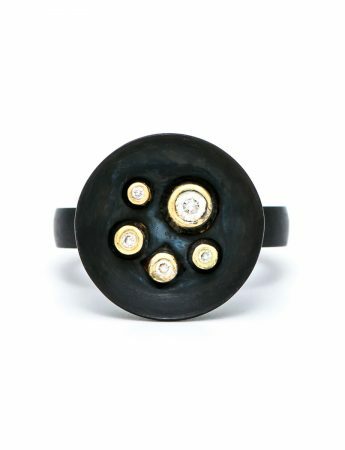 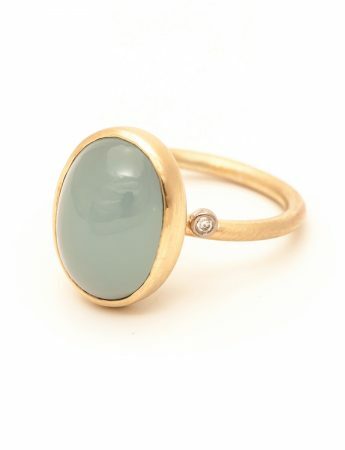 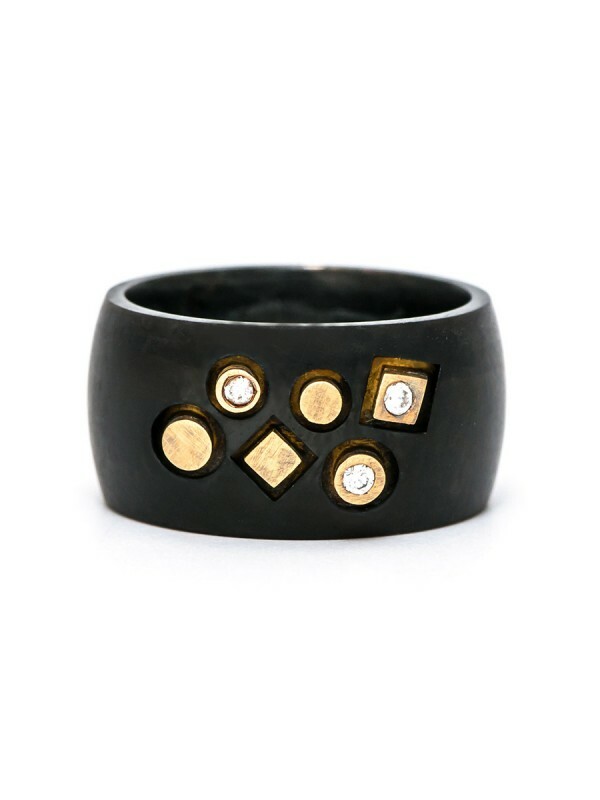 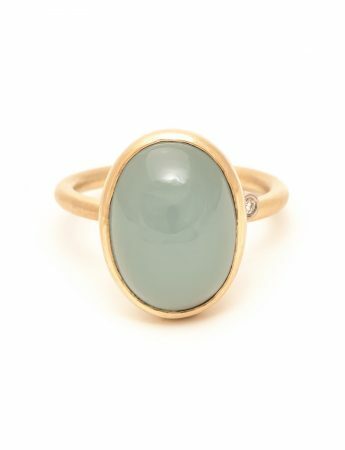 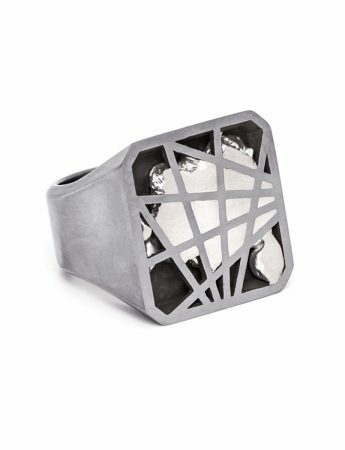 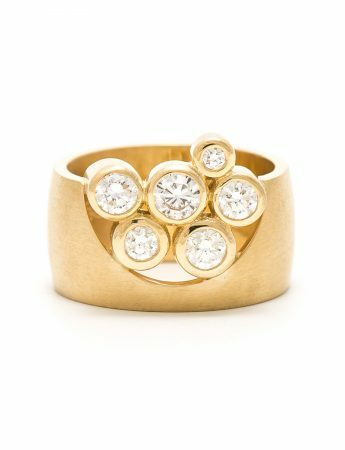 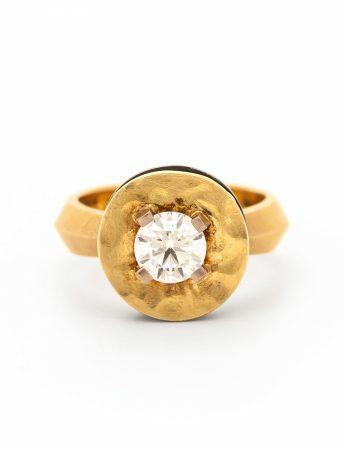 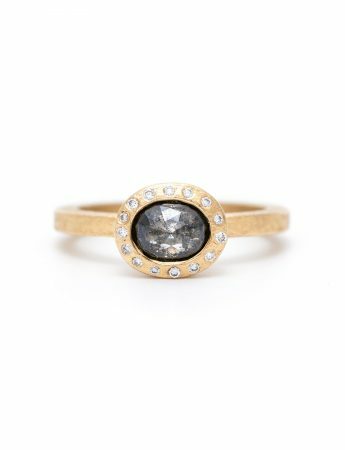 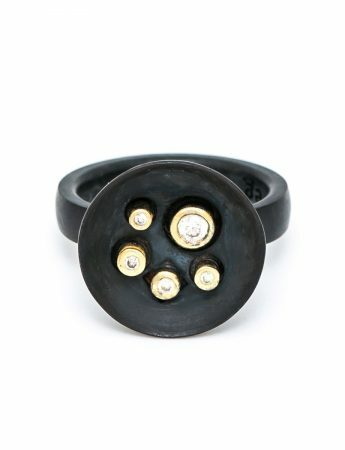 The Stonemason ring features gold and diamonds arranged across a blackened silver band. 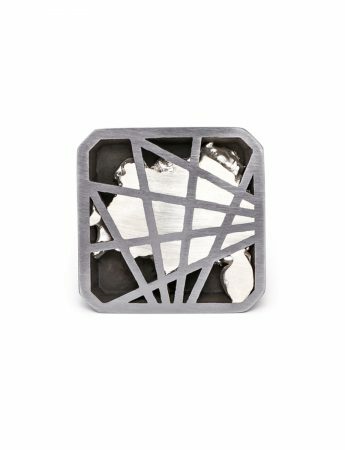 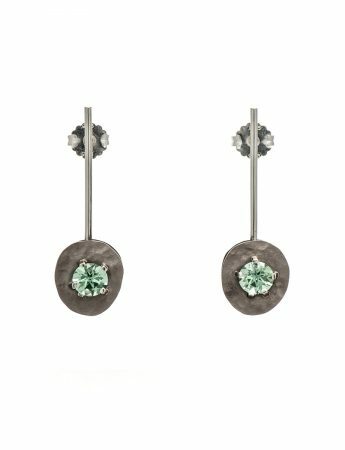 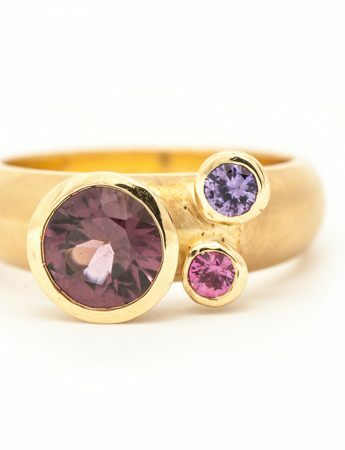 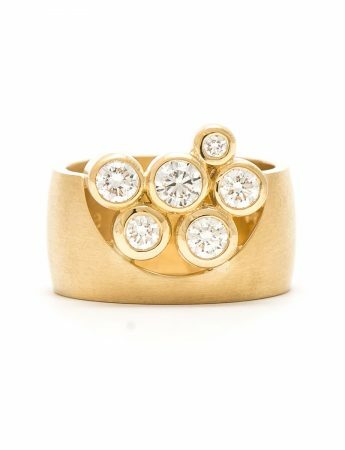 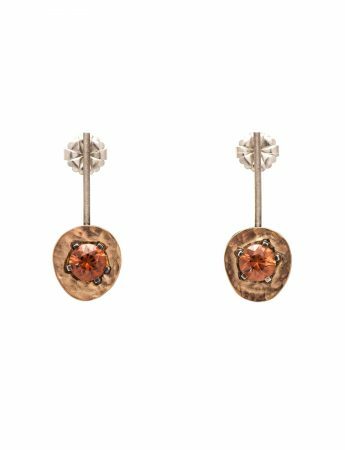 The shapes hark back to one of Emma’s earliest collections, in which she balanced the opposing qualities of geometric circles and squares.